White-tailed Deer are common throughout most of North America. They can be found almost anywhere forest borders open areas. I most often see them in the morning and late afternoon. They get their name from the underside of their tail, which is white. They raise their tail when alarmed, and then often bound away. Given how common white-tailed deer are I am surprised how few good photos I’ve made of them. Over time I hope to correct that. 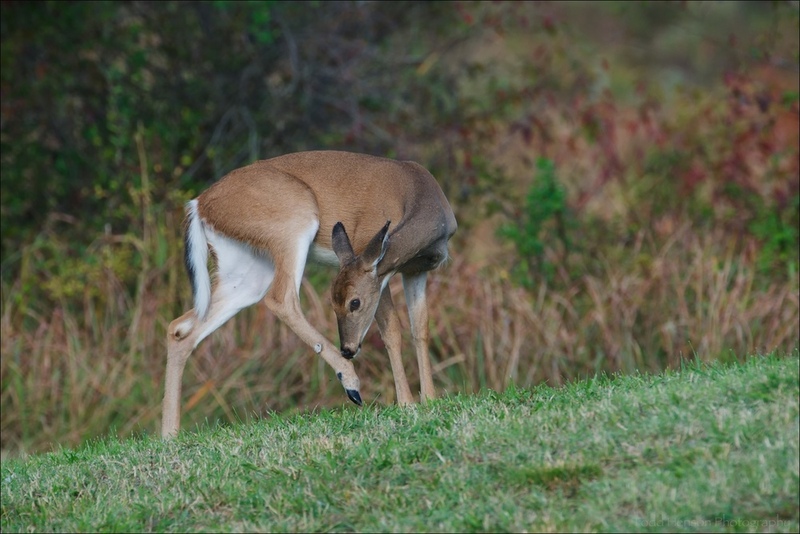 Included are photos of white-tailed deer in several environments, from forest and grassland, to mowed field and wetland. They really are marvelous creatures to watch. 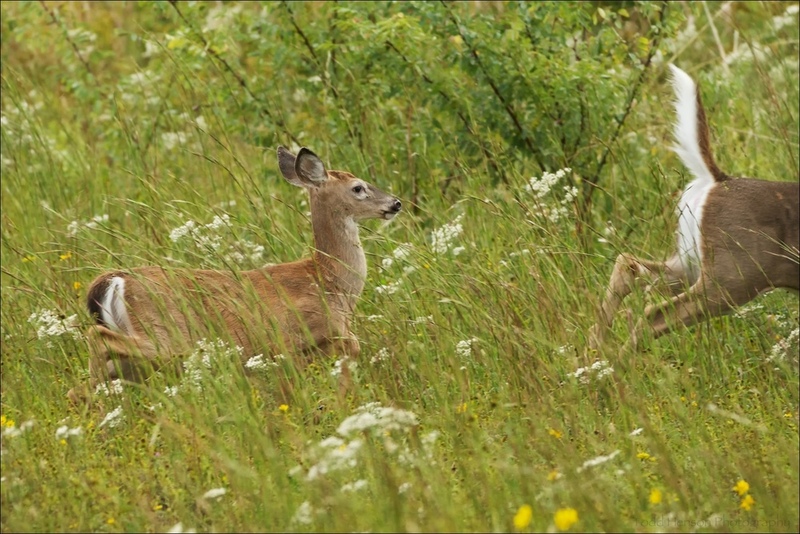 Pair of white-tailed deer in field. They came very close before they noticed me. Pair of white-tailed deer. They appear to have been through some thorny bushes recently. Pair of white-tailed deer after they'd had enough of being close to me. Notice the white tail of the adult as it bounds away.